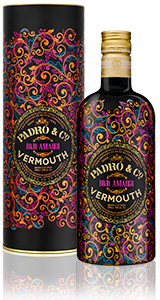 We have made this new Padró & Co. vermouth to accompany you in those memorable moments and places in your life: relaxing after a long day at work, enjoying a just-the-two-of-us drink with someone special or your own personal cocktail and even, well why not……. out on the town and in party mode. We start this vermouth off with an initial infusion consisting only of mountain herbs noted for their small roots and very aromatic flowers. 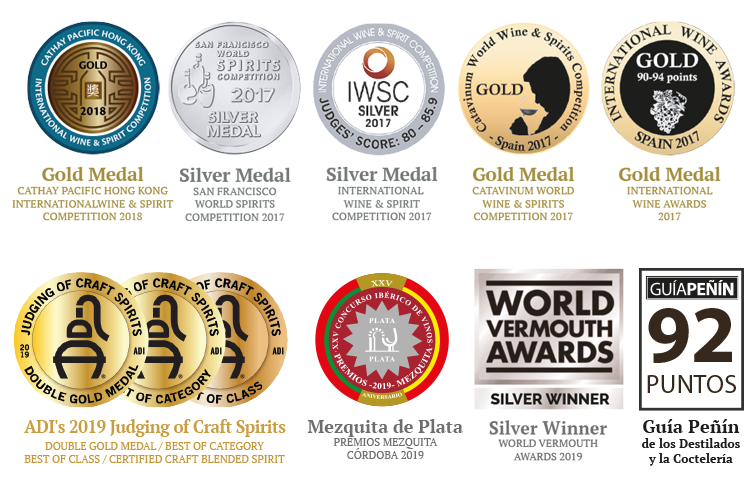 The vermouth then absorbs these aromas whilst resting for the next two years in wooden barrels. Following the aging process, a second herb formula is added, a blend of plant bark and roots found in our area and which increase the intensity of the flavours and give the vermouth its bitter essence. Premium packaging in a smart cylindrical format with embossed copper-coloured lettering.